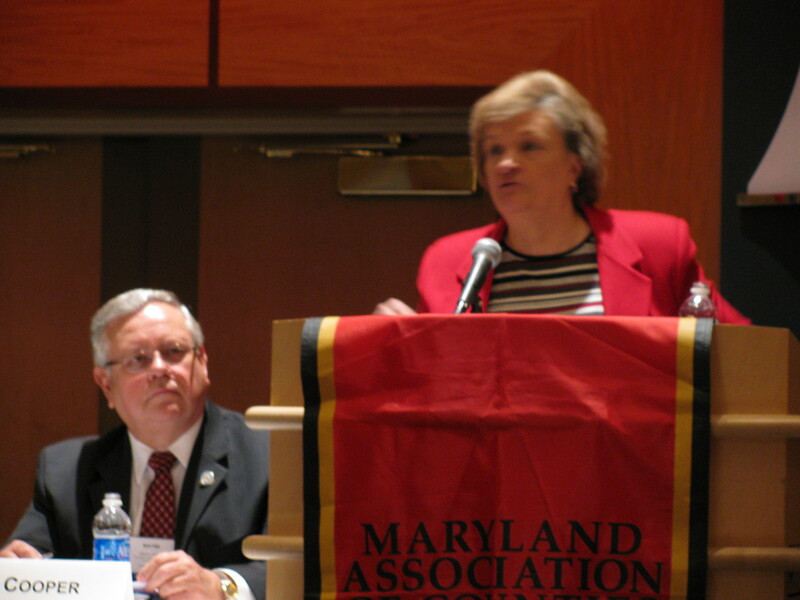 Lorraine Costello, Director of Administration, Harford County, addresses the MACo attendees. Charles County Commission President Wayne Cooper moderates the session. Public employees are local government’s’ most important resource. Yet budget reductions forced most local governments to freeze hiring, eliminate vacant positions, layoff , and furlough employees. Speakers at this morning’s conference session, “Public Employees: The Heart of County Government”, are focusing on how these budget reductions have impacted employee morale at a time when they are being asked to do more than ever.